Breakfast cereals go in and out of fashion don’t they? There are the old favourites like cornflakes and Weetabix, and I distinctly remember muesli becoming very fashionable for a while. Then it kind of turned into granola (basically toasted muesli). But what about all the other variations on wheat, oats, corn, rice, honey, sugar, chocolate, dried fruit. At the end of the day, breakfast cereals are essentially created out of the same basic ingredients. But it’s the packaging and the way that they are presented that dictates who they appeal to. 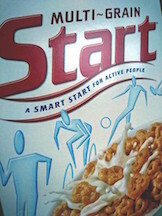 I was particularly struck by ‘Start’ as a cleverly marketed cereal for ‘active people’. I remember as a teenager thinking it was a healthy choice because it had multi-grains – surely that’s healthy right? Having rediscovered it on a supermarket shelf recently I nostalgically bought a box with my son in mind. A boy that is constantly on the go and plays every sport imaginable. Sure enough, he picked up on the strapline ‘the smart start for active people’ and happily tucked into a bowlful before setting off to school. 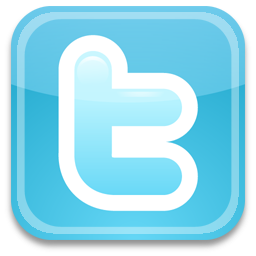 Fitting in the word ‘smart’ is particularly …. well … smart. This suggests a certain level of intelligence too. And who doesn’t want to be smart and active? Rice Krispies or Coco Pops are too childish, with their cartoon characters and brightly coloured boxes. Special K and Cornflakes are too boring – and surely they’re for adults? And as for muesli – no way, that’s for rabbits!